This fine art print shows exquisite weather event photography by our newest StateArt photographer (and meteorologist), Bruce Burkman. This print is a perfect companion piece for Rick Vanderpool's "Who has seen the wind?" 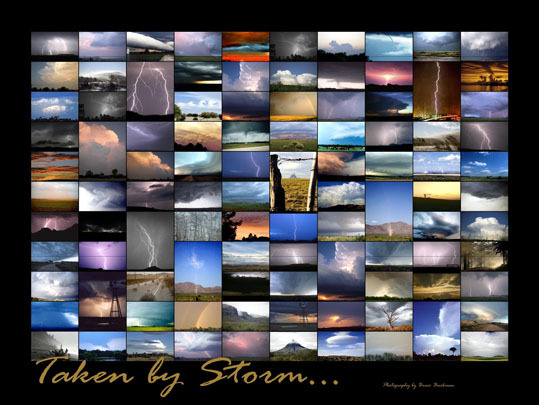 Printed on heavy gloss paper, this 18"x24" standard poster-sized print will be perfect for framing, and includes a legend identifying where each storm was photographed. Available after July 15, 2008.